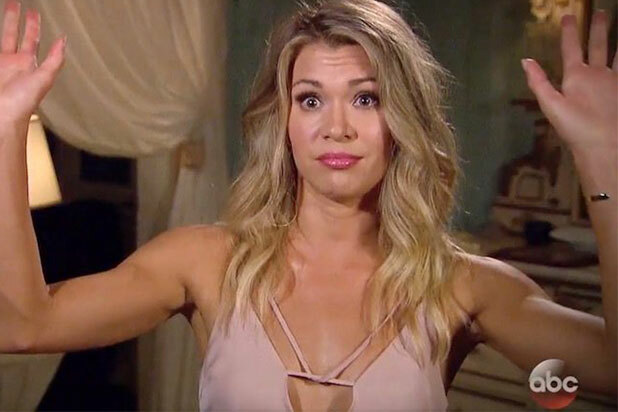 Thirty-one-year-old fitness trainer Krystal Nielson did not go into Arie Luyendyk’s season of The Bachelor expecting to become the resident mean girl. However, the franchise heightened Nielson’s “alpha nature” to the point where not only her fellow competitors but a large portion of America turned against her. She was mocked for her tantrums and the way she speaks, being dubbed the “most annoying voice” by comedian Jimmy Kimmel. Although the Missoula native was eventually sent home by Luyendyk, she decided to take a leap of faith and make an appearance on this past season of Bachelor in Paradise, not anticipating to find love in Mexico. However, Nielson fell head over heels with Chris Randone, who was also considered a villain on Becca Kufrin’s season of The Bachelorette. Nielson and Randone worked on growing their relationship in Paradise, and on the final day, the two got engaged. 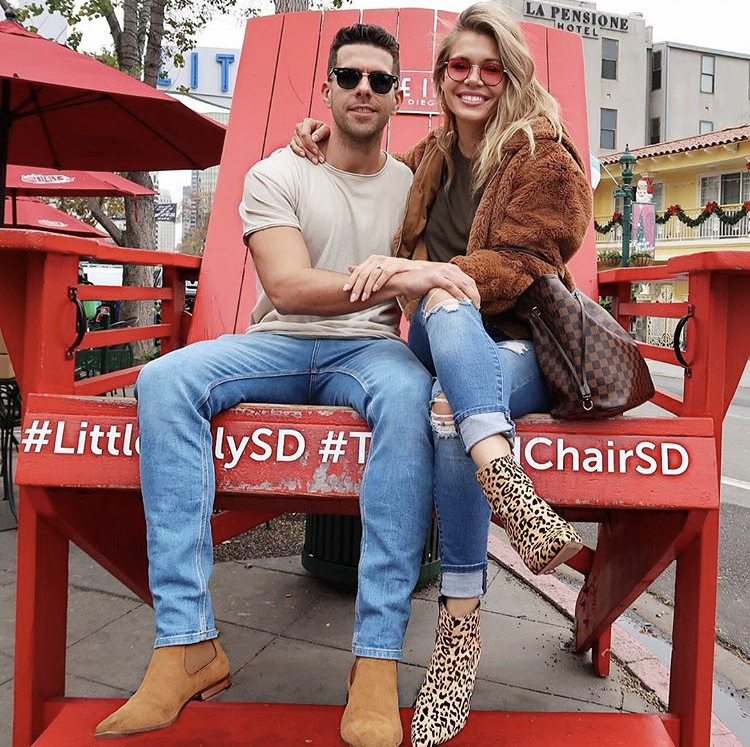 Now living in San Diego with Randone and happier than ever, Nielson looks back on the highs and lows of her Bachelor experience in an exclusive interview. I actually didn't submit. My best friend, Heather, submitted me because we watched it. It was one of our favorite shows, and we would always talk about it. When I broke up with my ex-boyfriend of four years, she told me that this was my chance. I think it was a way for her to live vicariously through me. I didn't really care about it, so I just had her submit for me. She did, and nine months later, the show called me. What were your expectations going into the show? Was it what you expected? I would say that, unfortunately, I did have expectations, but it ended up being completely different than I expected. I thought that I would make it to hometowns. I thought that I was going to lay low and be chill. I didn't want to be on camera a lot. The whole time, I told myself not to be the villain. You were often considered the “mean girl” on the show. What’s your side of the story? Do you think that the version of you portrayed on TV is accurate? No. But I will say though, that The Bachelor is a magnifying glass to good and not great qualities about us. So, even my size, right? That was magnified and people hated that about me. But I was just breathing, man! It was the power of editing and music and cutting to shape a particular outcome that producers wanted their viewers to experience. So, I would say, no, it wasn't who I was. But there were elements of me that you did see. They were just heightened to a much higher level than they really are. Even my sighs! Like I don't sigh that loudly, okay? People often made fun of your “baby voice” on the show. How did that make you feel? I'd actually been dealing with voice issues for almost two years before The Bachelor. I went to a doctor and I was working with a vocal teacher. I'm a motivational coach and use my voice a lot, so I had vocal strain. I'd also gone through a lot of emotional things that were connected with the heart chakra and throat chakra. They were all really intertwined with some trauma having to do with my family. I almost didn't go on The Bachelor because my voice was so bad. You don't get paid to be on the show, so I had to coach extra classes and take on extra clients to make all the money up to leave for two months without a job. So, on top of vocal strain, I had to coach even more. I literally had no voice and I was really self-conscious about it. I will say that while I was on The Bachelor, my voice began to heal because I wasn't projecting like I do as a motivational coach. When I came back from being on the show, I never went back to that kind of work. Metaphorically, it really was hurtful and so true that in life, I was on this journey to find my voice, my purpose, and why I was here. I was looking for adventure and then The Bachelor called. I thought that would be my way to find my voice. The ironic thing was, it was all about my voice but it was used against me in ways that I had no control over. That was really hard and I felt very powerless and alone for a while, especially while the show was airing. Eventually, I accepted my voice. The power was up to me and I wasn't going to let that define me. I was going to continue to make an impact and use my voice for good. How did you feel about Arie during your time on the show? I was really excited when Arie was announced because I didn't know who he was. It was fairer and put all of us on an even playing field. He didn’t know anything about me, so going into a relationship like that seemed just like the real world. He seemed eligible. He had his stuff together and didn't live too far from me, so I definitely saw potential. I'll say that Arie definitely preferred a group of women versus one on one. He was a little awkward and uncomfortable, but always forgiving, of course. I saw some red flags about halfway through my process where I really questioned his intentions of being there. I just saw him as womanizing. I didn't feel like he was ready to find a wife. There were moments when I was like having a very intimate, heartfelt conversation about my family with him and when I looked down, he was holding Tia's hand while talking to me. I felt so disrespected by him. When you really see me act like the "villain," I was standing up for the women in the house. No woman should be treated this way. It was all just how it was edited. I was talking about Arie, but they just showed women when they played it back. So, you think I'm talking about the women, but I'm not. You know? You never hear me say their names. You just hear me say verbs. How do you feel about Arie at this point in time? Honestly, I'm really happy for him and Lauren [Burnham]. We always meet people throughout our lifetimes, and they're there to teach us a lesson to learn and grow from. Arie wasn't meant for me, but look, he found Lauren, and his whole life has changed. Because it didn’t work out with Arie, and probably because of how I went on Bachelor, they wanted me in Paradise. I was able to meet my fiance. Why did you decide to go on Bachelor in Paradise? What changed? I didn’t want to let my future and life be this way. It was a moment when I had to grab the bull by the horns and steer it right back and get control over my life, as I felt so out of control over how the show went. It wasn't supposed to go that way, so I needed to correct it and get back on course. I wanted to prove to myself that I could do it and come back without any expectations. I wanted to just go with the flow and surrender. I figured that I’d probably go home on day one, and I was okay with that. I didn’t care. Did you believe you were going to find love in Paradise? Oh, no. I didn’t even want a relationship. I was just starting to get my confidence back and my work was taking off again. I was getting in my groove. The Bachelor had thrown me off my path for eight months. I was just getting back on track. But I remember sitting with the producer the day before we started filming Paradise and he said, “That’s what all the women who end up getting engaged say.” I didn’t want even a boyfriend. I think it's a testament that when you're looking for love, you're looking for the wrong things. More importantly, you tend to ignore the red flags because you just want a relationship. But when you don't want a relationship, you raise your standards and you don't settle on the little things. That's really what I'd recommend to anyone looking for a relationship out there. Don't go looking. Just let it hit you in the face. It'll be so much better that way. Did you have any doubts about going to Mexico? I was really scared, honestly. As the Subaru was driving up, I started crying and I had my mic on. I was worried that I would be ostracized again and put in that stressful environment that could potentially affect me, my family, my passion, and my purpose in life. In the past, it had made me second guess my voice. It made me want to be quiet in this world and not leave an impact in a positive light. I needed to find the courage to push through despite the fear, which allowed me to really stretch and grow. How did you work to grow your relationship with Chris [Randone] in Paradise? On The Bachelor, I only spent about 5-20 minutes a week with Arie. But in Paradise, I was with Chris 20 hours a day for a month on a small little island. Twenty hours times 30! That’s a significant amount of time. The only time you leave is to go on a date. So, if you're not on a date with your person, you're just hanging out talking with them. I love how much he believes in me and supports me. He really sees my potential. I grew up with a single mom--my dad wasn't around, and my mom wasn’t really either. I've always been fiercely independent, as my mom likes to say. It's been challenging to be in a relationship because I'm a straight up alpha. Chris really encourages and supports that, but can also step in and put me in that position where I'm not the alpha, I'm the nurturer as well. We both play this balance of switching roles to really support the other person, which is transformative for a relationship. In the end, Chris proposed to you on the beach. What was going through your mind at that moment? Oh my God, it was probably the best moment of my life. I know people always say that, but I just felt like my heart was exploding with love and light and sparklers. I was just beaming, beaming, beaming. I wish someone would have taken a photo of my aura because I was just so happy. We spoke vows to each other and it felt like I was leaving a part of me behind. It was the part of me that never thought I'd get married, that couldn't trust a man because it feared he wouldn't be there for me or would walk out like my dad. I felt like I was leaving that old battered, torn, defeated me behind and stepping into a bright future with my partner. It was just a beautiful, incredible experience. Did you see the proposal coming? No, because we kept saying the whole time how we didn’t want to get married, and we even questioned if we believed in marriage! Since Paradise ended, how have you combined your lifestyles? Actually, we have a very similar lifestyle. We both own our own business. We both work remote. We both love apple cider vinegar. We love green smoothies. We eat the same. We work out. We have the same routine. We're literally the same exact person, which is crazy. So, it was very easy. What are you and Chris up to now? We just did our engagement shoot, which is really exciting, and we're actually looking at wedding venues right now. It’s going to be in 2019 for sure, I would say by the third quarter. We're ready. We want to get married, move forward, and start a family. Chris thinks we're going to have twins, so he wants to get started right away. What are you, personally, working on at the moment?